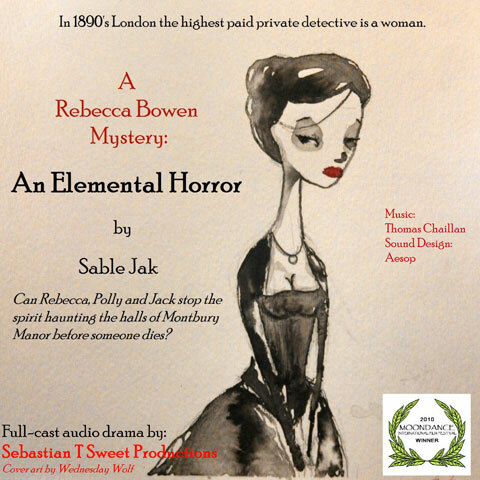 In 1890's London the highest paid private detective is a woman: Rebecca Bowen. After the untimely death of her husband, Lady Montbury holds a series of séances. Unfortunately the spiritual communication she's looking for isn't what she's expecting. The creature that has taken up residence in the manor is described as being like a cage full of fluttering birds. It is accompanied by an overpowering, putrid smell reminiscent of an open grave. People disappear, disembodied moaning floats through the residence, and no one escapes the feeling of being watched. In "An Elemental Horror" Rebecca is faced with one of her strangest cases to date. She, her secretary Polly Penniford and her body guard, Russian born Jack Saunders, must travel to Montbury Manor to investigate, find and stop the evil before it kills.